5th Floor, Matrix Urbtech Towers Sector 132, Opp Jaypee Hospital Noida - 201304, U.P. Krasa Group is one of the leading names in the real estate sector in India. Their mission is to create a better lifestyle for everyone by building quality projects. Krasa Group has various residential and commercial projects spread across Delhi NCR. KRASA, the group's name has been derived from the nine rasas associated with Lord Krishna name signifying all the emotions of life. The word RASA is a Sanskrit word signifying a state of ecstasy in the union with divine. Their most prominent project is the Centrade Business Park in Noida which is known ptimarily for international standards of design and architecture along with some great features and amenities. It also has great location advantages. Under the leadership of Arvind Singh, Krasa Group has flourished in the real estate sector in India. 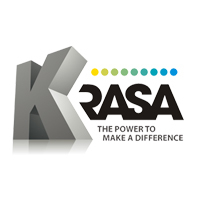 KRASA Group endeavors to grow strategically by meeting customer needs everyday and by encouraging building partnerships with our customers based on trust and professionalism. We are a customer-oriented company that believes in putting the best foot forward to bring dreams to reality. "At KRASA, we envision to fulfill this by obtaining sustainable development and at the same time, enhancing the value system within the organization and fulfilling our obligations towards building a better India".